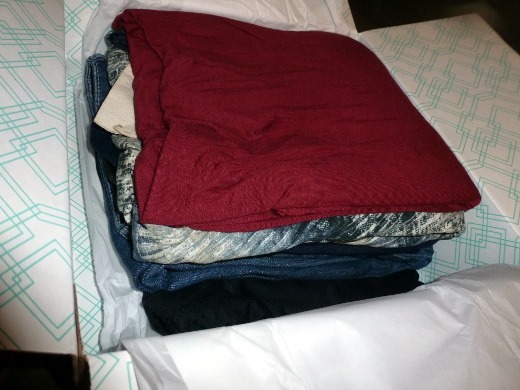 My fix arrived Monday and contained five clothing items – no accessories this time. 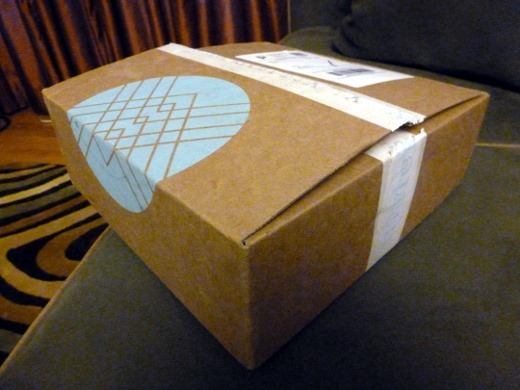 Tearing open the box and peeking inside is always the most exciting part! Get ready for Meg’s skeptical face. Nope! Let’s just forget this ever happened. Eek. Much more my style! 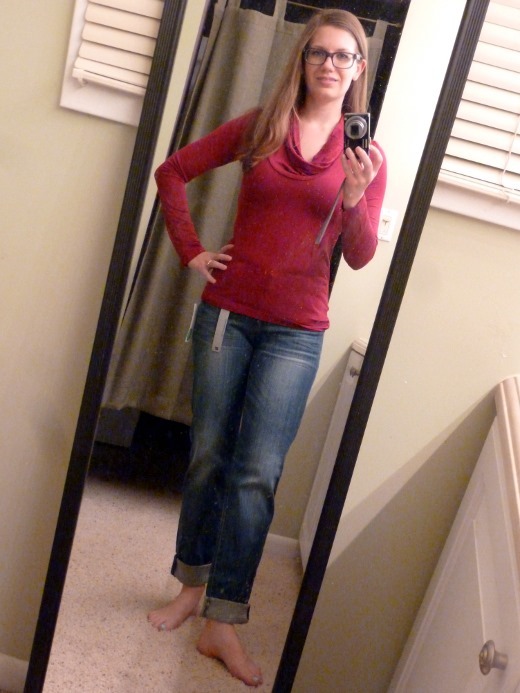 Paired with skinnies and flats. 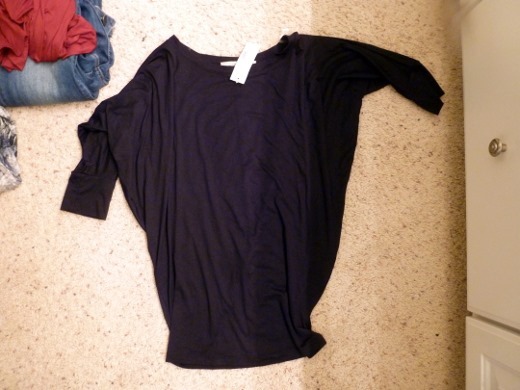 I really like the thick and soft jersey material of this black top. I can see myself wearing this shirt frequently. Keeper. 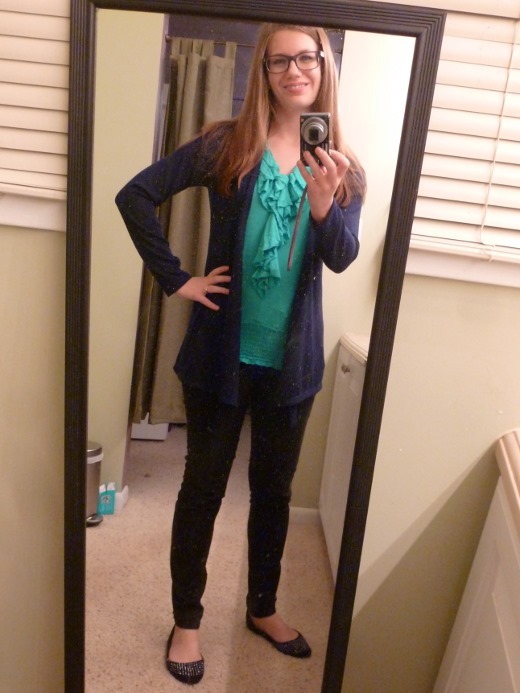 I paired this navy cardigan with a turquoise top from my closet. I like this piece and it’s appropriate for my office, I just don’t know that it’s anything special. 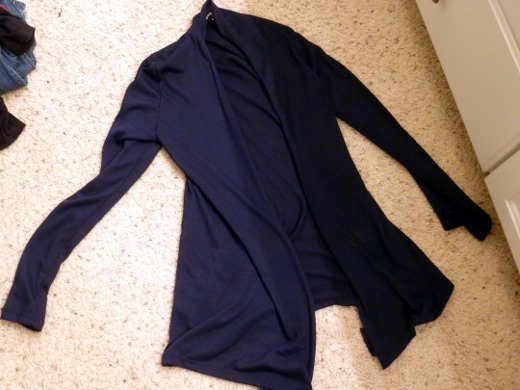 Next I tried pairing the navy cardigan with the last item in my fix. 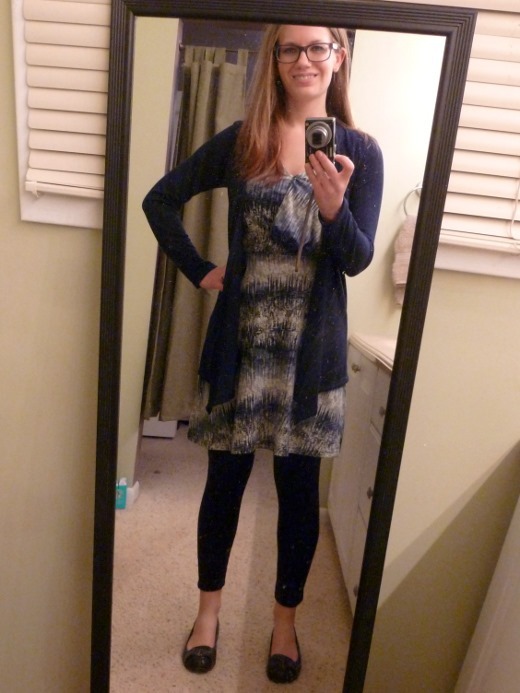 I tried pairing these two pieces from my fix (dress and cardigan) with a pair of leggings, and, eh. I don’t know. I like it but don’t LOVE it. I’m trying to be extra choosy. Will probably let these two items go. 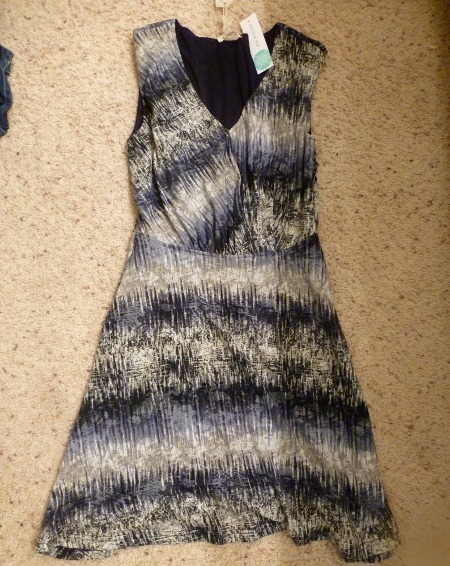 Here’s a peek at the dress sans cardigan and leggings. I like the flattering cut of the dress and the modest neckline that would be appropriate for work, but am not crazy about the print. So what’d you think? So far I’m leaning toward keeping the black Queensland Dolman Jersey Top from 41Hawthorn (item #3) which I love and is a very practical piece for my wardrobe. I agree ! 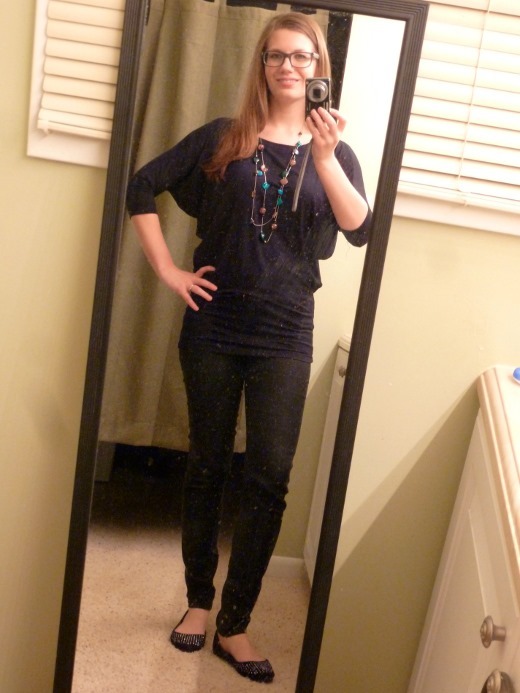 Black jersey top looks great on you and the item to keep. I thought everything looked great on you!